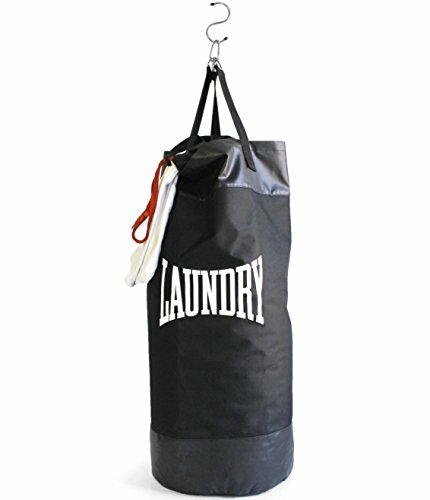 Laundry Punching Bag - Moar Stuff - You don't need it but you know you want it. Highly durable and resilient - perfect for punching! 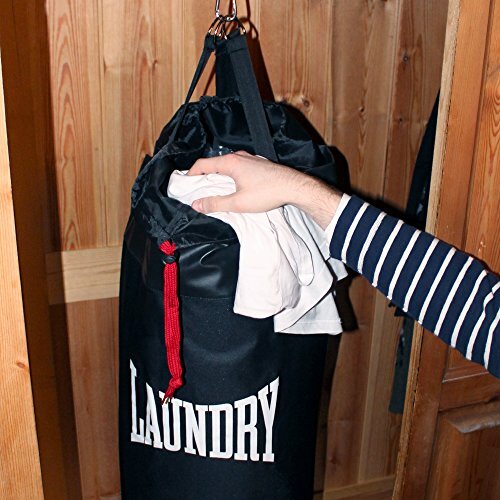 This fun and functional Laundry Punching Bag delivers a one-two punch to piles of dirty clothes. 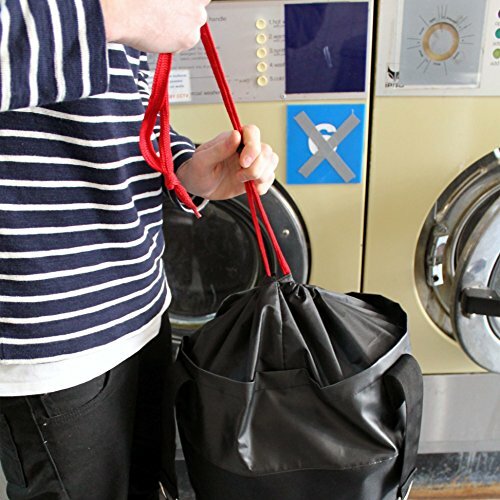 Made from polyester and steel, it can hold up to 30 pounds of clothes, so there’s always room to throw in the towel. 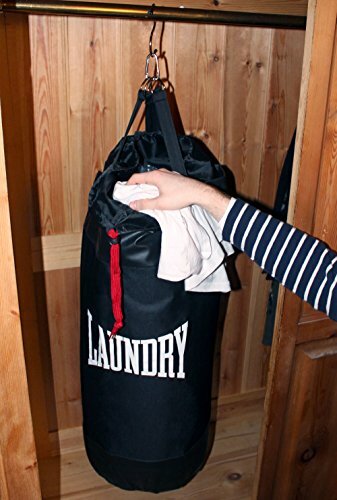 The bag can be hung in a closet or displayed proudly in a corner of the room. 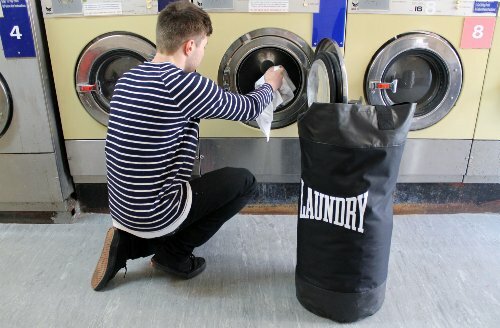 A knock-out hit with teens and college students, this bag is sure to make anyone who uses it feel like a true laundry champion. 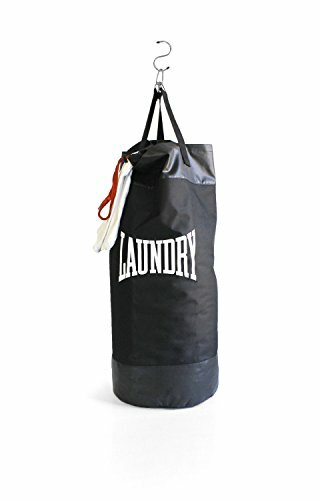 The “Laundry” wording mimics the “Everlast” found on a popular brand of punching bags. It uses a steel S-hook and four D-rings for easy access and mounting on a door, wall hook, or bed frame. It’s a great gift for a new bachelor pad or student heading off to live in a college dorm room. It’s also cool as a storage duffel for stuff in a man cave or rec room. 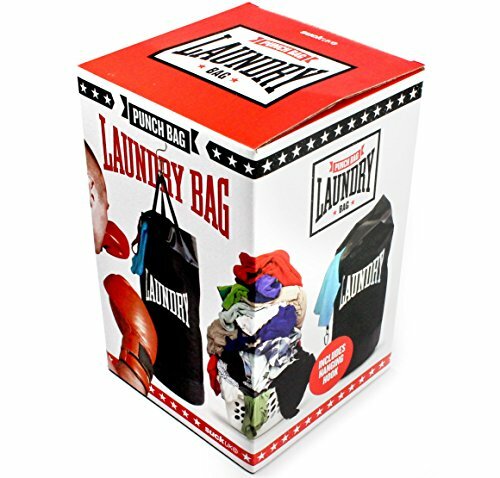 Oh, and it goes without saying that you should have a continuous loop of the Rocky theme playing while you’re using this bag. Dimensions: 11.8 x 11.8 x 39.4 inches. Hook included for easy mounting on a door, wall hook, or bed frame. 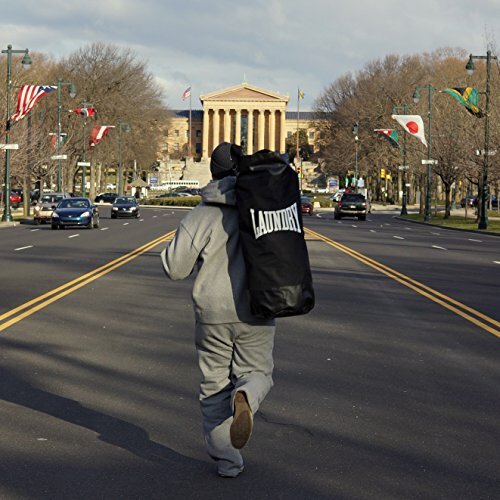 Rocky background music and punching gloves not included.